Can I Take a Loan From a Traditional IRA? 1. Can I Take Out a Loan Against My IRA? 2. Do I Automatically Have to Pay the IRS if I Borrow From My IRA? 3. What Happens When You Withdraw Money From a Traditional IRA? You cannot technically take a loan from a traditional individual retirement arrangement. You can take money from an IRA in certain circumstances without a tax penalty. You can also roll over money from an IRA to another IRA, or even the same IRA, if you do so within 60 days, but you may only do so once per year. You can borrow from a 401(k) plan if your company allows it. A traditional IRA is a tax-deferred retirement account. That means that when you put money into your account, you're doing so before paying taxes on those funds. You can put up to $5,500 a year into traditional IRAs and Roth IRAs, or up to $6,500 a year if you are 50 and over, and may generally do so until your tax filing deadline. When you withdraw money from an IRA, you pay tax on the withdrawn amount at your ordinary income tax rate. If you're under 59 1/2 years old, you generally must pay an additional tax unless certain special circumstances apply. You can also transfer money between IRAs without a penalty. You generally cannot borrow from an IRA. You can't really take an IRA loan, but in certain circumstances, you can withdraw money from the account before retirement age without a tax penalty. You will owe tax on the money you withdraw based on your ordinary income rates, credits and deductions, similar to other ordinary income. If you're called to active duty from the military reserves or the National Guard, you often can take a withdrawal without penalty. You can also do so to pay certain higher education expenses for yourself or your relatives and to pay for health insurance while you're unemployed. You can pay for certain medical expenses in excess of 7.5 percent of your adjusted gross income and take withdrawals if you're severely disabled. You can also take a penalty-free withdrawal of up to $10,000 to use toward the purchase of a first home, as defined by the IRS. 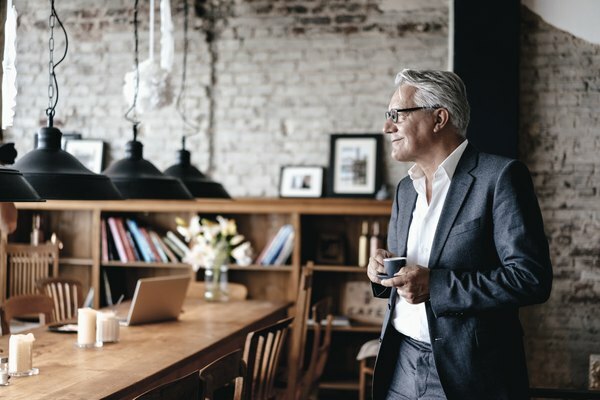 A Roth IRA works differently from a traditional IRA, and you can sometimes withdraw money from one without a penalty even before retirement age. You deposit money into a Roth IRA after paying tax on it as usual while you're working. Once you turn 59 1/2, you can withdraw money, including investment earnings, without paying any additional federal income tax. This can be advantageous if you anticipate large earnings or imagine you'll be in a high-income tax bracket when you retire. Before retirement age, you can withdraw the money you put into the account without a penalty, except that you'll lose out on any future tax-free earnings on those funds. If you withdraw earnings before 59 1/2, you'll owe income tax plus a 10 percent penalty on that money. The IRS assumes you exhaust deposits before you start withdrawing earnings. You can often convert a traditional IRA to a Roth IRA by paying the deferred tax on the account. You can often borrow money from a 401(k) account. That's an account that your employer can open for you to which you can make tax-deferred deposits, usually through paycheck deductions. As with an IRA, you don't pay tax on the money until you withdraw it, and you pay a tax penalty if you withdraw it before age 59 1/2. Many 401(k) plans allow you to borrow money with interest paid back into your account for a period of up to five years. You must pay the money back according to the loan terms or face tax penalties, and you do not get any additional tax break on the loan repayments. If you leave your employer or are fired, you often must pay the loan back at a speedier schedule. You can roll over money from one IRA to another, or from a 401(k) to an IRA or a new 401(k). This is typically done once you leave the job where you opened the 401(k), though you're not required to do so. The easiest way to do this is to have the two financial institutions that manage the old and new accounts coordinate to transfer the money, without it ever passing into your hands. If you take possession of the funds, you'll generally see a withholding tax and must put the money into a new retirement plan within 60 days or you will face a tax penalty for an early withdrawal. You must deposit the entire amount, including making up for what was withheld for taxes, or pay a penalty. You'll generally get the withheld amount back when you file your tax return if you follow the rollover rules. You can transfer money directly from one plan to another essentially as often as you like, but you can only make one 60-day IRA rollover per year, regardless of how many IRAs you have. This is to prevent people from using the rollover policy to effectively borrow money from their IRAs before retirement age. SIMPLE and SEP IRAs are both employer-sponsored retirement plans that function similarly to IRAs. A SIMPLE IRA can involve a mix of employer and employee contributions, while a SEP IRA is funded entirely by employer contributions. They're generally designed for small businesses. You can't borrow against a SIMPLE or SEP IRA, other than through 60-day rollovers similar to traditional IRAs. You're also subject to the usual 10 percent penalty on early withdrawals, in addition to paying income tax on the funds. If you withdraw money early from a SIMPLE IRA within the first two years you've had the account, the penalty can be 25 percent instead of 10 percent. Once you turn age 70 1/2, you must begin withdrawing a minimum amount each year from your traditional IRA and 401(k) accounts. This amount is called a required minimum distribution. You can calculate the amount using IRS tables or online calculator tools based on the amount of money in your accounts and your age. If you don't take the withdrawals required at your age, you can face a tax penalty of 50 percent of the difference between what you withdrew and what you should have withdrawn. At any federal tax bracket level, this is more tax than you would pay on withdrawing the funds as required. Roth IRAs aren't subject to required minimum distributions. If you inherit an IRA, it has a separate system of required distributions you must take over the course of your life. You can sometimes borrow against a brokerage account that's not a retirement account, effectively using your securities as collateral. This is different from margin trading, where you borrow money to buy securities, and you're often not allowed to use the money to purchase more investment securities. Check with your brokerage to see if this is an option for you. Of course, you can also borrow against real estate and other investments or use a personal loan or a credit card to access funds, depending on your financial needs and credit health. If you need to access money, consider the taxes, penalties and lost earnings involved from taking money from a retirement account versus the interest you'd pay on a more traditional loan. What Can I Expect From a Roth IRA? How Is a Beneficiary IRA Different From Traditional IRA? What Documents Will You Need for a Retirement Planner?